Thread: What is the "best" sand to use as a substrate? Utah, soon to be in rural New York! Hello all, it's been awhile since I have been on GU! However in the description it says, "Our sand clumps like cat litter for easy removal of waste and helps eliminate odors." I can't imagine clumping sand would be good for a gecko, so I wondered if I am missing something or if people use the play sand instead of the reptile sand? 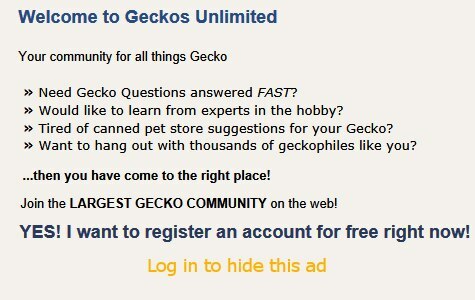 So for those of you who have geckos on sand, what do you reccomend? Thank you so much! Jerry Bergosh's Jurassic Reptile Sand is the exact sand I'd recommend for a Nll -- right from your former home state! Have you found a reputable care sheet yet? Hi, for NLL gecko, you will need to choose a sand type that can support a burrow, thus when sprayed and the moisture clumps the sand together. (not for whole tank.. maybe 1/3) I have been using exo terra desert red sand / or reptile one ultra fine reptile desert sand for NLL which are aged 1 month older. As sand is ultra fine, so it can pass it out in the poop. For younger gecko less than one month or less than 7cm long, i use paper towel. However, by using paper towel, it will dry quickly which will create shedding issue. Please ensure the paper towl is partially dump wet and also wet hide available. Last edited by icatsang; 01-01-2019 at 12:02 AM. I hope that this help, feel free to read this article if you haven't found which sand to use. Leopard gecko substrate requirements are not the same as those for Nephrurus, who actually do live in sandy areas. Sand is the best for them, provided it is moist enough to burrow into, not soggy wet. I kept mine on play sand mixed with potting soil, roughly 2/3 sand, 1/3 soil, about 6-8 inches deep. The top inch or so was dry, the rest was kept moist by adding water, as needed, through a plastic tube set in the corner of the enclosure so they couldn't topple it.